the most awarded fate of all the Pacific coast perfect for the vacation of their lives to the best prices and the most comfortable suites overlooking the sea, the pleasure most demanding full color with a touch of tropical Maya, ask about packages all inclusive which includes the most exotic and gourmet meals, a la carte. accommodations mexico beach in mexico spa in mexico spa resort beach accommodations real estate listings. Discover our Paradise this season from $40 USD p/person p/day! Plus one free ! Round of golf or one free ! spa treatment code A. 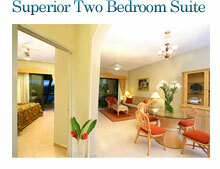 Golf and more included, $412 per couple! Our all-inclusive resort in features a high-tech Convention Center, three swimming pools, a Fitness Club, a rejuvenating spa, two outstanding restaurants, an inviting lounge, live music, entertainment, family activities, tennis courts, and breathtaking vistas. Swim or relax on our resort’s beautiful Enjoy an invigorating workout in our Fitness Center or tee off on a nearby championship golf course. Puerto Vallarta Resort Meetings & Events. Experience total relaxation that will revitalize your body, mind, and spirit at our resort spa in . Enjoy a rejuvenating massage, facial, or hydrotherapy as you relax in a tropical paradise. Listen to the sounds of the crashing waves with an ocean front massage on our resort’s stunning beach.